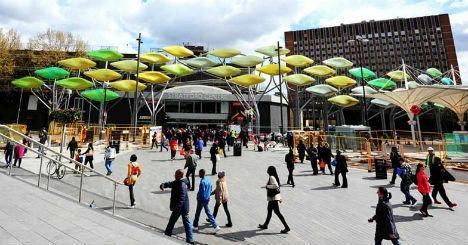 The thousands of people who sweep through the streets of east London as they make their way to and from various Olympic events won’t notice the less-than-aesthetically-pleasing rear end of the Stratford Centre shops. They’ll be too distracted by a new addition to the area: an 820-foot-long school of titanium fish. 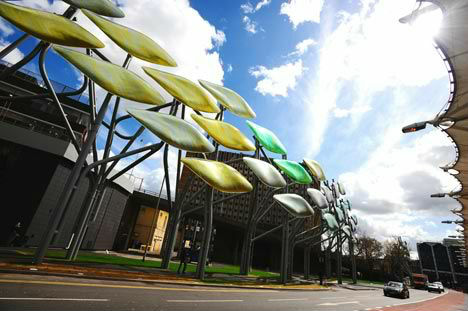 The Stratford Shoal sculpture by Studio Egret West was created to screen the back of a 1970s shopping center, which was never really meant to be seen as much as it is today. 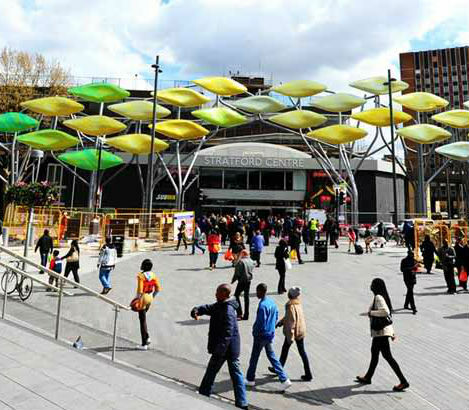 A new bus terminal and train station refurbishment have given it new prominence – and it’s not exactly an architectural feature that the city of London is proud of. 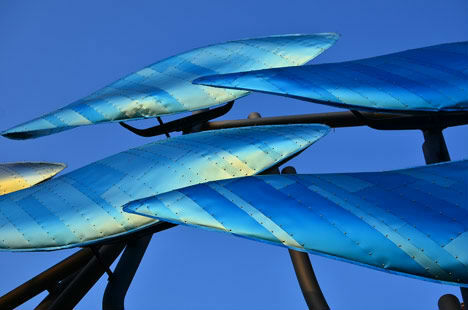 While from afar, the sculpture is reminiscent of giant, colorful leaves in a metal forest, each individual form looks more like a fish when viewed up close, with shimmering, overlapping titanium scales. These shapes are designed to respond to the wind, so they seem to flutter and flap. 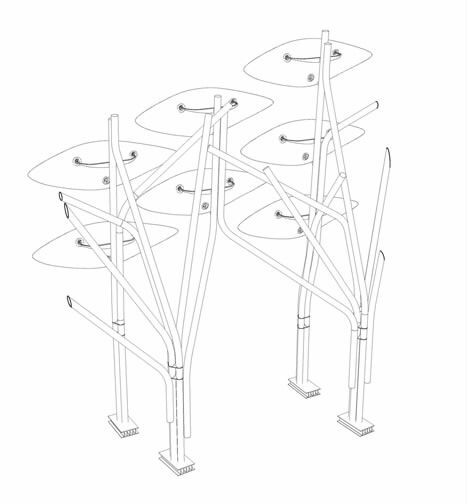 The semi-permanent installation was designed and manufactured using the latest 3D technology.